Summer may be nearing its end as the cold, autumn nights start to approach but it’s not all doom and gloom. 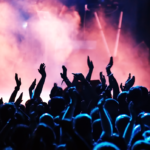 Fancy a night on the town or just hungry to taste the best in Irish music? Well there’s guaranteed to be a few gigs in Dublin this September for you. Local artists will be demonstrating their talents to fans and continuing to make a name for themselves. We’ve got 5 gigs that you need to see if you’re in the capital over the next few weeks. 5) Silverbacks One act on our must see.. 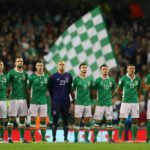 Despite drawing 1-1 against Georgia, Ireland still find themselves in with a chance of winning the group, however a play-off place does seem a lot more likely. Currently in second place, two points behind group leaders Serbia and two ahead of the group’s top seed, Wales, the Boys in Green have just three games left to secure their place in Russia next summer. Can Ireland do it? Well, here’s how we think Ireland’s tell-all game against Serbia will play out. Georgia v Ireland T..
Irish fans of all sports are very highly regarded on the world stage. We’re seen as the life of the party at a Conor McGregor fight, the loudest singing crowd in any given stadium, and everyone wants to be seen with the Irish fans for one reason or another. 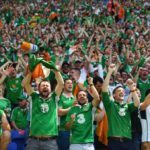 From Chile to Japan, Irish sports fans are extremely popular (except maybe in North Korea, but that’s hardly our fault now!). At any given time, Irish football fans are known for boisterous, good-natured support of their country. With cru..